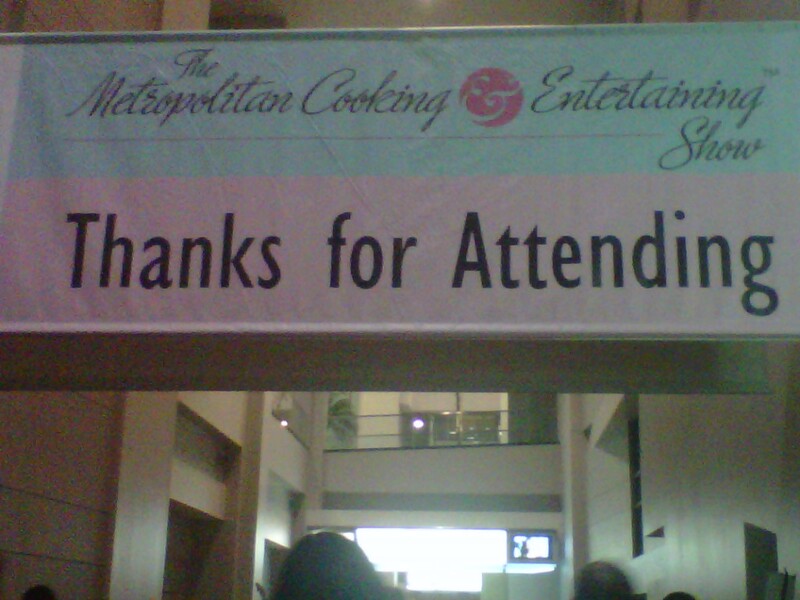 Last week's Metro Cooking event was a blast. There was all kinds of food, kitchen, housewares for display and sale. 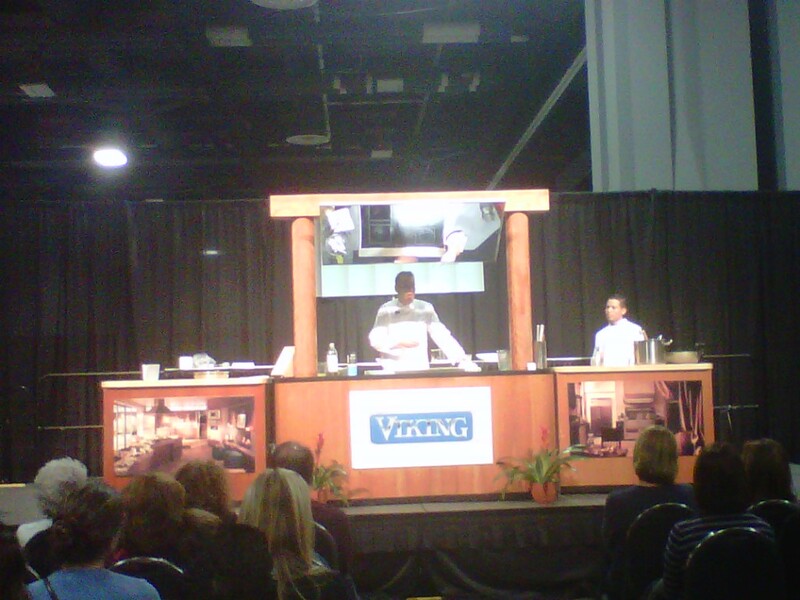 The venue was super crowded and it was a great turnout. Because I spent most of the morning lounging on the couch, we didn't get there until after 1pm. I missed a few classes and demos that I wanted to check out. Lisa Pizza was particularly disappointed about missing the tea and chocolate pairing tasting. I told her I'd make it up to her by hosting a similar event in our apartment. I missed Bobby Flay, and I skipped Paula Dean to enjoy the rest of the expo, but I made sure I was available to catch Mrs. Racheal Ray. She was awesome and cooked halibut with a cornmeal & old bay seasoning crust, with leeks, cherry tomatoes, and bacon. We are sooo going to duplicate that meal again in our household. 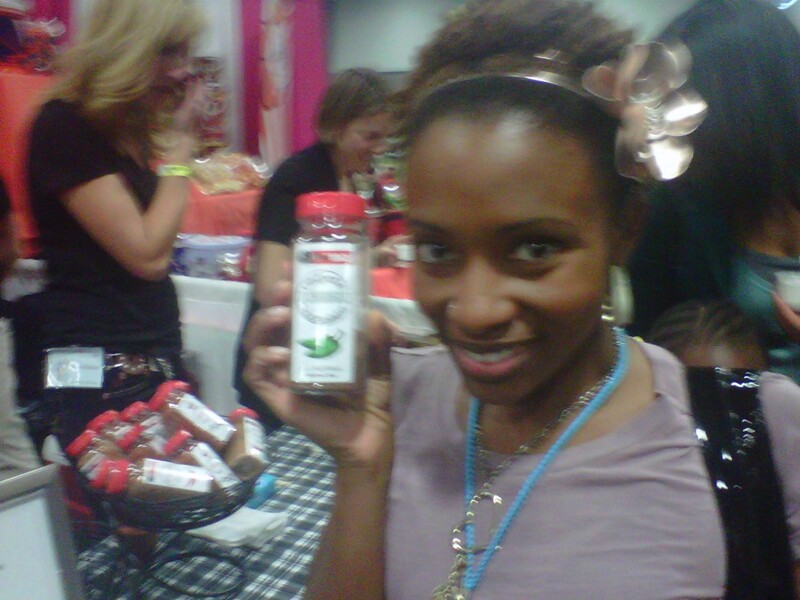 One of the highlight of the event is meeting a local company, Catalyst Gourmet that specializes in teas & spices. At the expo, the owner introduced a new line of chocolates that the company will be rolling out for the holiday season. I instantly fell in love with their Tantalizing Turmeric chocolate bark. The name says it all. Fergie and Pizza were not as impressed with it as I was. 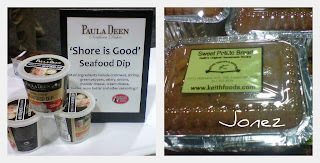 I went back three times for samples! The owner was gracious enough to give me a small jar of Turmeric so that I can attempt to recreate the chocolate bark at home. Look for an upcoming post on that. The pics are too small but a sample of some of the eccentric foods I've came across includes Ginger Beer, Potato Chip coated peanuts, a plethora of vinegars & oils, and I love this ginger/pepper label design. 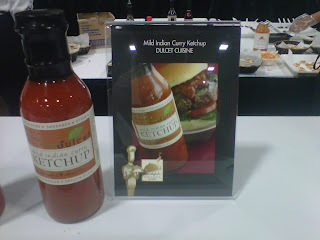 Indian Curry Ketchup ... I'm not a ketchup fan, but this was good! I've lost track of how many samples of Paula Dean's "Shore is Good" Seafood dip and Keith Foods Sweet Potato Bread. Sooo good! I'm kicking myself for not buying some to take home.